WAS REES RUNNING A BULLYING CULTURE FROM THE TOP AT BRISTOL CITY COUNCIL? Why has the council’s chief lawyer and Bundred crook, Shahzia “Dim” Daya started threatening councillors with legal action if they discuss the recently departed council Chief Exec Anna “Big Wedge” Klonowski with the press? Total mystery surrounds the sudden RESIGNATION of the Reverend Rees’s representative on Earth and chief bag carrier. Big Wedge, barely six months into a role filling her boots with extraordinary sums of public cash while leading an inane “improvement journey” at the council quit on Monday 4 September for “family reasons” taking a payoff reputedly in the region of £70k. What for? This, so the story goes, is because Big Wedge suddenly discovered her parents were seriously ill and she needed to to look after them. We can only sympathise with this SUDDEN and SIMULTANEOUS deterioration of these executive parents, both of whose health apparently collapsed in the six months since Big Wedge began her latest well remunerated public sector “improvement journey”. No doubt Big Wedge watchers are pleased that she’s continued to display her remarkably ordinary intellect and way with a tired old cliche to the very end. Isn’t quitting for “family reasons” a hackneyed old code in political circles for “JUMPING BEFORE I’M PUSHED“? So what has Big Wedge really been up to? Creating and running a systematic BULLYING CULTURE at the top of the council is what. We understand that in early September a letter began circulating claiming that Big Wedge had personally bullied 14 Service Directors out of Bristol City Council over the last year and had then paid them off to keep them silent. Intrigued, a local reporter called the council’s PR department where they were greeted with barely-concealed PANIC at the mention of Big Wedge and bullying. The reporter was promised they would receive a call back with a statement. Obviously this never came. Instead, for the rest of the week, local newspaper editors received regular calls from various senior bosses and PR types at the council BEGGING them not to run any bullying stories in relation to Big Wedge. Then – after a weekend, apparently considering her position – Big Wedge announced the following Monday morning she was quitting “for family reasons”. Coincidence or wot? What’s even stranger, however, is why the Reverend and Big Wedge ever thought bullying bosses out of the organisation and paying large compensation packages was necessary? (Were they getting a kick out of bullying their staff?) Because didn’t they have a brand new INDEPENDENT REPORT (kept secret from us) into their managers’ conduct around financial management in 2015 – 16 and the unlawful budget set in 2016? So why wasn’t this report used as the basis for DISCIPLINARY ACTION against these bosses? This would have saved us a fortune and ensured none of these crooks ever worked in local government again. Surely a win-win? Or maybe this secret report contains some rather more uncomfortable facts that need to remain secret? For example, Klonowski started working in a SENIOR ROLE in finance at Bristol City Council in 2015. What exactly did she know about HIDDEN DEBTS and UNLAWFUL BUDGETS? Similarly, council lawyer Shahzia “Dim” Daya, who’s still got her feet firmly under the table at the Counts Louse and is now threatening councillors all over again, OVERSAW the council budget meeting in 2016 where an unlawful budget was set with her FULL KNOWLEDGE. Alison “Three Jobs” Comley – still raking in a six figure sum – also knew all about the unlawful budget, according to PUBLISHED MINUTES, and she continues in post trashing parks and unlawfully refusing to house the homeless. Then there’s the pair of BENT CHIEF INTERNAL AUDITORS who knew lots and lots about unachieved savings and inaccurate reports to councillors. They, too, are still collecting generous salaries for their mendacity and failure. Isn’t it time the Reverend published his secret new report into his bent bosses so we can find out what’s been going on inside his useless council and we can sort it out if he can’t? NB. Any legal threats in relation to this article to the Bristolian’s email please. 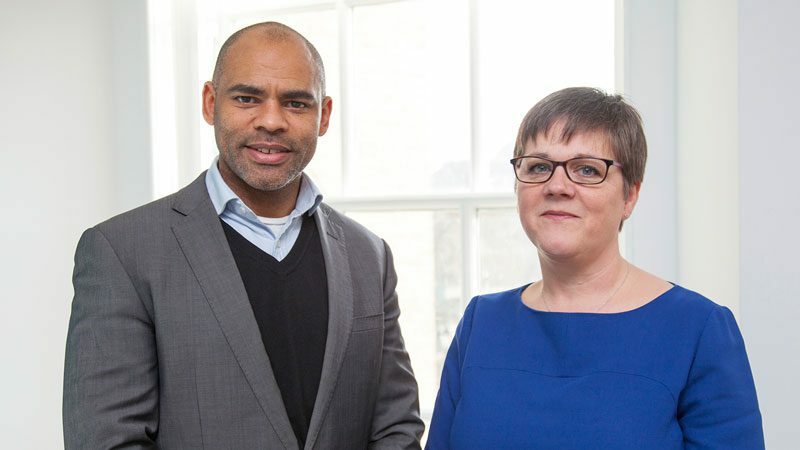 This entry was posted in Bristol City Council, Marvin Rees, News and tagged 2016, Alison Comley, Alison Mullis, Anna Klonowski, Bullying, Bundred Report, Chief Executive, Chief Internal Auditor, Melanie Henchy-McCarthy, Monitoring Officer, Resignation, Shahzia Daya, Unlawful Budget on September 25, 2017 by thebristolblogger. Following our revelations last issue about Labour’s new councillor for Brislington West, Eileen “MEANIE” Means, and her notorious BULLYING boss past, a reader has been in touch to draw our attention to a couple of newspaper articles. The first is from the ‘Get Reading’ website of the Reading Evening Post in Berkshire from 26 April 2006 and is headlined, “Investigation into town hall department”! And the story goes: “The director of housing and community care in Reading has taken leave of absence while an INVESTIGATION into her department is carried out. ” … The social services department under Ms Means’s management has hovered between one and two stars and currently rates a “POOR” one-star performance. “This was blamed by Ms Means in January this year on incorrect statistics given by partner bodies. Dearie me, what can it all (Meanie) mean? Well, an article in the Berkshire News dated 20 June 2006 and headlined ‘Social Services Chief Quits After ‘Style’ Criticised’ might be able to help us out here. “Ruth Allman, spokeswoman for the council, said: ” … her approach to the management of people in achieving change was NOT ACCEPTABLE. As a consequence, Eileen has moved on by mutual agreement. Blimey. What have those USELESS TWATS at the Bristol Labour Party foisted on us now? A notorious local authority bloody bully that’s what. And an incompetent one at that! This entry was posted in News and tagged Brislington West, Bristol City Council, Bristol Labour Party, Bullying, Eileen Means, Reading, Social services on July 31, 2015 by thebristolblogger.